I found your listing on AgentMarketing. Please send me more information about 20 Puueo Mauka Drive in Hilo as soon as possible. 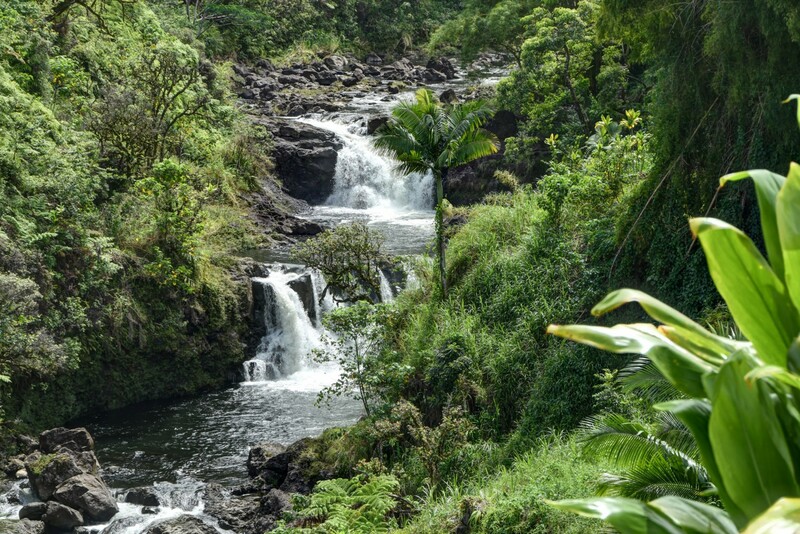 30 acres of premier land just 4 miles above Downtown Hilo, safely located in Lava Zone 8, with amazing panoramic ocean views, streams, waterfalls, and a comfortable permitted home! This property must be seen to appreciate all its magic; A gorgeous river borders one side with a large still water pool perfect for swimming. Three dramatic waterfalls, just upstream from the property, are viewable from benches along several trails leading down to the river. A small year round stream flanks the other side of this property for approximately 6/10 of a mile. 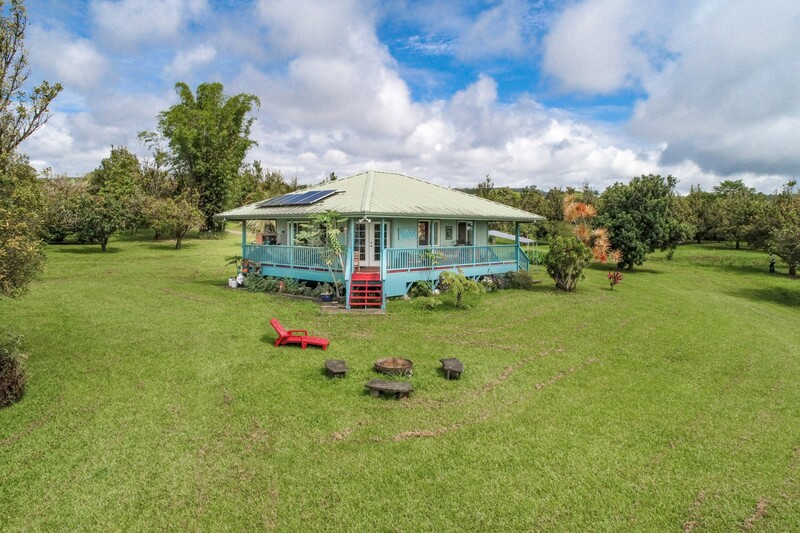 The charming and peaceful off-grid studio home with one full bathroom, outdoor shower and a wrap-around lanai is a perfect place to expand or simply contemplate your dreams for this amazing property. 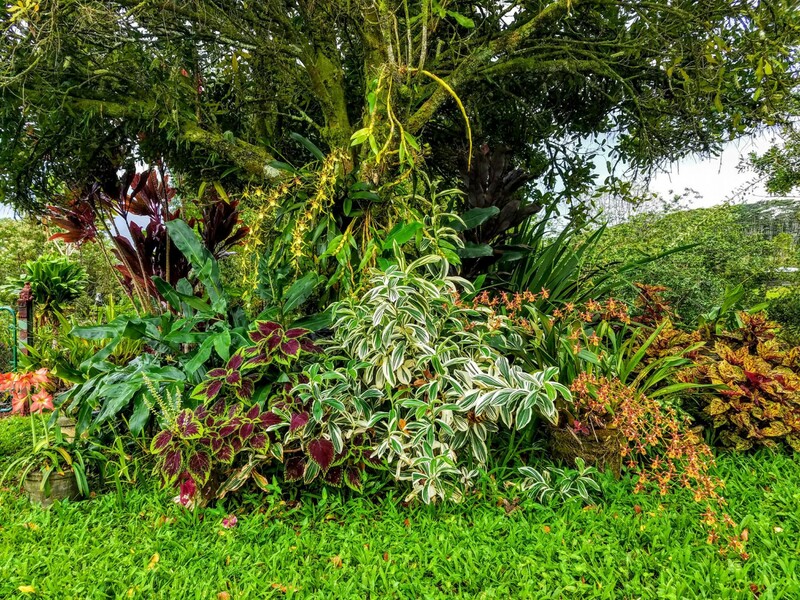 The large fenced organic vegetable garden, tropical fruit and macadamia nut orchards, palms, bamboo, wild orchids, and a collection of Hawaiian and edible ornamentals add to the beauty and a sustainable lifestyle. Zoning is agricultural, so livestock or equestrian activities are permitted, if desired. The home is sited at about the 800 foot elevation where the weather is cool and comfortable with rainfall for the gardens and consistent trade winds. 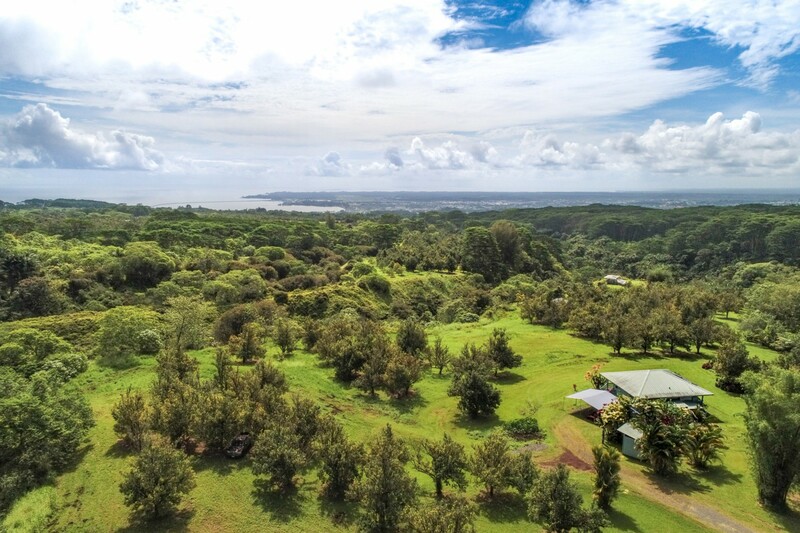 There are several stunning building sites within this parcel with expansive views of Mauna Kea, the surrounding hillsides, waterfalls, orchards and Hilo Bay. Several “Glamping” sites have been comfortably developed for visitors, workers, storage and simply for relaxing in the beautiful surroundings, with the sound of the river and waterfalls in the background. There is a separate large raised viewing deck that is ideal for entertaining and enjoying the 360 degree views. 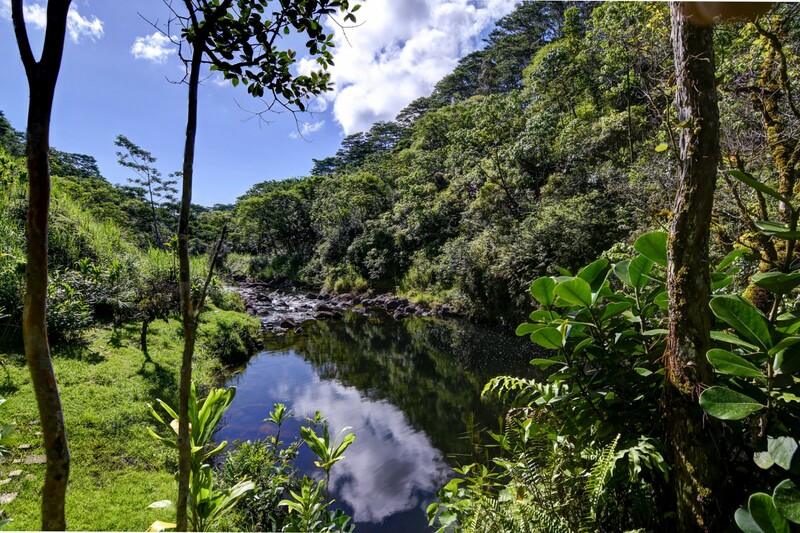 This RIVER PROPERTY is full of tropical beauty with commercial potential. See attached County code for the wide spectrum of permissible uses for this 30 acre, Ag-20 zoned property. This is truly a unique opportunity to own a remarkable large acreage in a secure community just minutes from Downtown. This property must be seen! Be sure to look at the VIRTUAL TOUR attached attached to the listing.